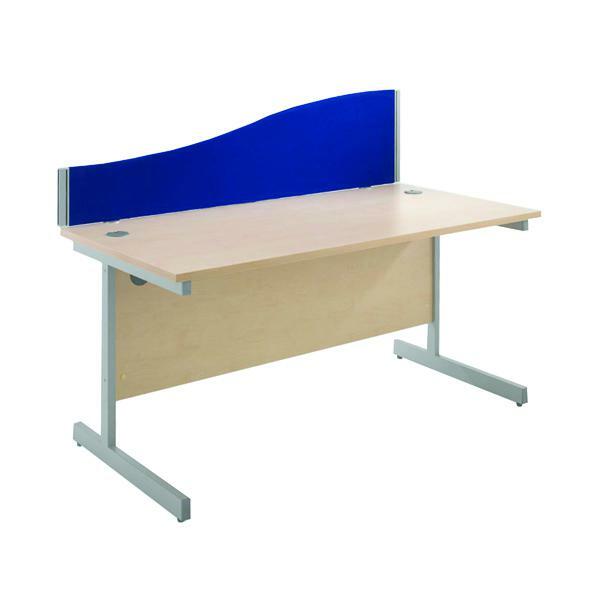 This Jemini Wave 1200mm Desk Screen is designed to provide privacy between office and other workplace desks. Each screen is designed in an attractive wave shape and comes with a pair of clamps for easy fixing to the desk. Rigid linking strips are available on request. The screen features aluminium square end posts, which provide stability and rigidity. This blue screen is 400mm tall giving you ample space for pinning up notes and reminders next to your desk.